Blog | November 2017 | How Much Do Solar Panels Cost? Visit our Business Feed if you are interested in learning about commercial solar costs. One of the first questions someone interested in solar asks is, “How much do solar panels cost?” The answer is often given in terms of “watts installed” rather than by how much the actual solar panels themselves cost. This is because different manufacturers’ panel wattages and system configurations can vary widely, as do financial incentives from state to state. So it’s more accurate for a homeowner to estimate the cost of a solar panel system by first finding out how many kilowatt hours of energy their household typically uses and thus how many kilowatts are needed, along with the cost of equipment and labor for installation. For a baseline on the actual cost of the solar panels, though, the general rule of thumb is that solar panels cost about $0.85 to $1 per watt before installation and the federal investment tax credit incentive. Residential solar panel capacity ranges from around 250 watt to 360 watts, so the cost per panel mostly falls in the range of $212-$360. Few people are going to buy just the solar panels and install a home solar system themselves, though, just like few people would buy the components of a car and build their own vehicle. 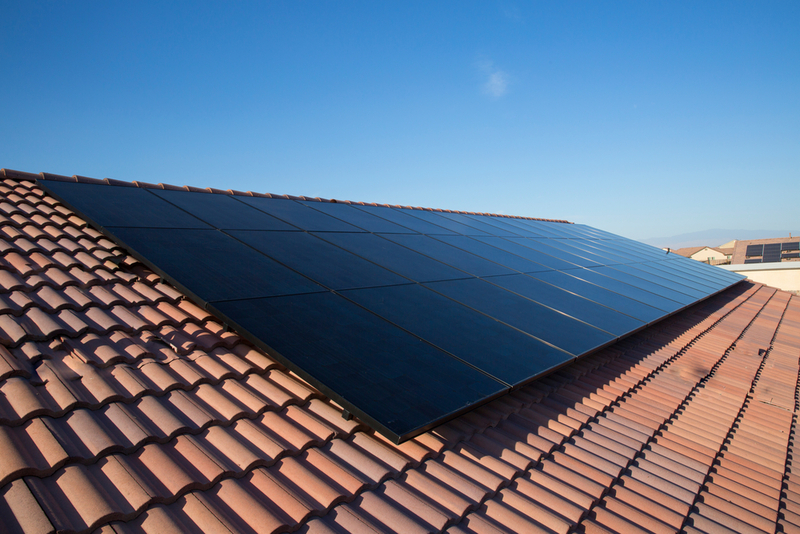 We recommend you use a SunPower-approved installer for your solar system. So that’s where the cost gets to watts installed. The average cost of solar per watt installed in the United States is $3.16. The average system size is five to eight kilowatts (5-8 kW). So an average home solar system would cost from $14,000 to more than $30,000. Keep in mind that you’ll get some of that investment back once you apply the 30 percent federal residential renewable energy income tax credit (ITC)1, so the cost ends up being $10K to $20K. But the tax credit may be ending soon, so don’t put off buying solar for too long. The cost of utility power in your area. Also, remember that the old adage, “You get what you pay for,” applies to home solar. Not all solar systems are alike. The durability, reliability and efficiency of solar panels can vary widely. (Click these links to see videos about the lifespan of SunPower solar panels and their durability and reliability.) Our panels are guaranteed to last and to produce a certain amount of power for 25 years with our Complete Confidence Warranty. Industry measurements such as the Fraunhofer Center for Sustainable Energy Systems’ PV Durability Initiative can give you a better idea of the expected solar panel lifespan – a factor that can have a tremendous impact on the system’s lifetime value. Yes, it’s possible to buy a single solar panel for as little as $100, but a solar panel does not operate in isolation. You need a system of hardware and software to generate electricity from the sun, including solar panels, mounting hardware, wires and cables, an inverter and monitoring software. And you need to consider the cost of installation and operation. Once you get an estimate for the cost of your solar power system, you should subtract what you’ll save on your utility bill over time and any incentives offered by your local or state governments. Then you’ll have a better understanding of how going solar will impact your finances. There are many different tax incentives, subsidies and financing and billing solutions at the state and local levels that can make going solar more affordable. To see if you might be eligible for renewable energy incentive programs, visit the Database of State Incentives for Renewables & Efficiency® (DSIRE®). As mentioned previously, you may also qualify for a U.S. federal residential renewable energy income tax credit. If you purchase your solar system, you are eligible for the solar ITC, which allows you to deduct 30 percent of the cost of installing a solar energy system from your federal taxes. The full solar ITC is available to home solar owners through 2019. It drops to a 26 percent deduction in 2020 and 22 percent in 2021. After that, the residential ITC is due to expire unless Congress decides to extend it. Ultimately, the easiest way to answer the “How much does solar cost” question is to give our solar advisors a call at 844-578-6793. They’ll help you get an estimate for your home. Or you can contact a solar installer in your area directly. Here are some tips: Choosing a Home Solar Installation Company. When you’re getting solar estimates, ask about the technologies the installer intends to use, their hardware, their monitoring software, their past installations and their maintenance plans. It’s especially important to ask about their warranty. Many companies offer multiple separate warranties for a solar system, and there can be hidden fees in, for example, replacing a broken panel. SunPower covers its entire Equinox home solar system with one warranty and will not charge you, for example, to ship us a panel that needs to be replaced. Ready to get started? Enter your address into our solar savings calculator to find out how much you’d save going solar. Google also has a calculator tool called Project Sunroof. 2 Highest of over 3,200 silicon solar panels, Photon Module Survey, Feb 2014.